Home » Blog » United States » 3 Days at the Mall of America: Awesome or Awful? At the beginning of February, I spent three whole days at the Mall of America in Minnesota. Three days at the largest shopping mall in the United States might sound like a nightmare to some of you. Others may be curious about what it was actually like. Before I get into my experience, though, I feel like I owe you a little back story to set the scene. I grew up in a suburb of a suburb in northeast Ohio. My family lived more or less in the middle of nowhere, but we were only a 15-minute drive from the grocery store, movie theater, school, and, yes, shopping mall. I have great memories of the mall. It's where I'd go birthday shopping with my grandma every fall. Where I'd hang out on the weekends with my friends. I even worked at the mall one holiday season when I was home and saving up money for my trip to Southeast Asia. Even today, when I go home to visit my parents, there's about an 85% chance that my mom and I will end up at the mall. This isn't to say that my family members are shopaholics – in fact, quite the contrary! My mom is notorious for taking months to spend gift cards (even from the mall! ), and I have a pretty strict rule these days that I can only shop for things that I'll put to use on upcoming trips. I have such good mall memories, in fact, that when I got invited on a three-day press trip to the Mall of America earlier this year, my immediate thought was along the lines of, “That sounds really fun!” And so I went. 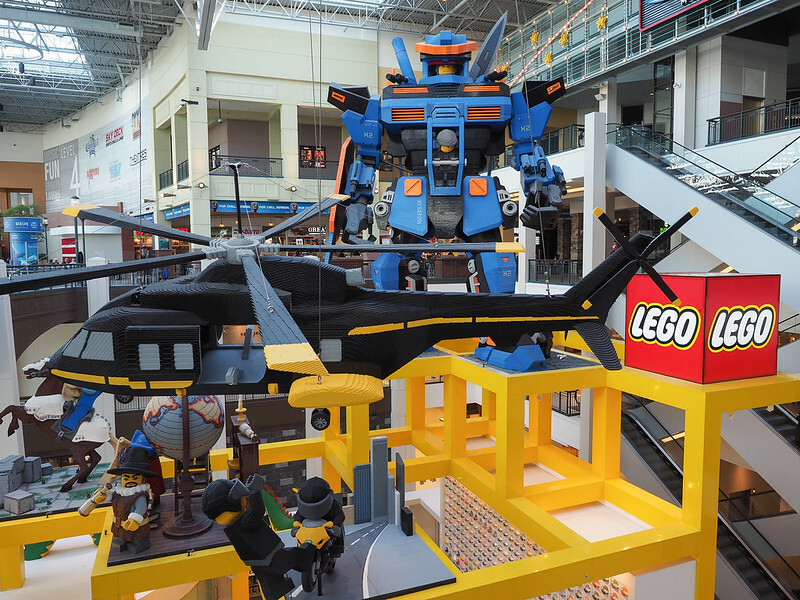 The Mall of America is not your average shopping mall. So if you're picturing your local mall in your head right now and wondering how the heck I'm going to write a whole blog post about a place like that, know right now that I'm not writing about that mall. The Mall of America is huge. How huge? 32 Boeing 747s or 7 Yankee Stadiums could fit inside. 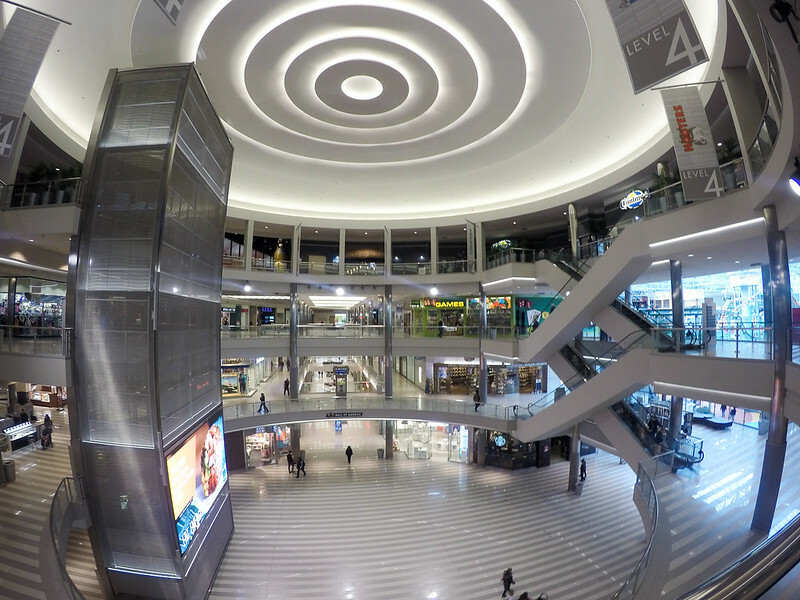 If you spent 10 minutes in each store inside the MOA, it would take you 86 hours to visit them all. 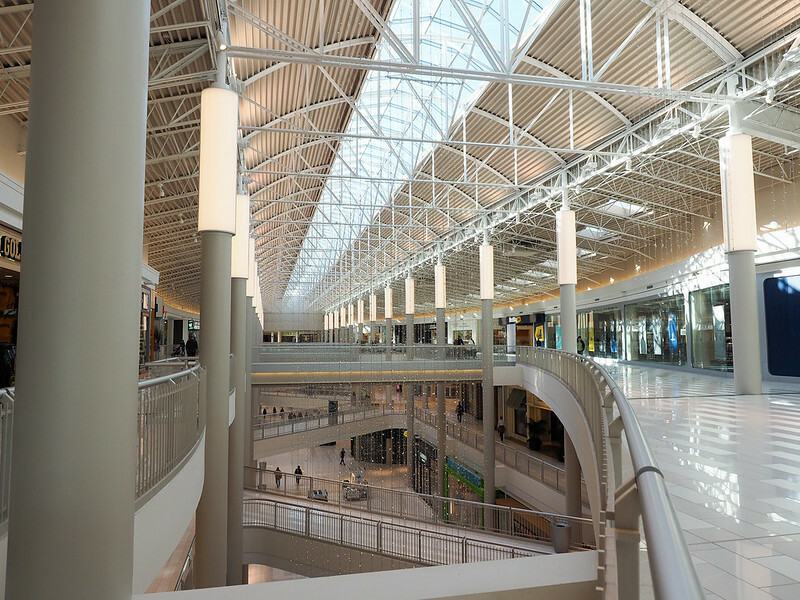 The roof of the Mall of America is made almost entirely of skylights – nearly 8 acres of skylights, in fact. This is one of many things that helps the Mall stay at a comfortable 70 degrees Fahrenheit year-round, no matter what the weather outside is like. 7,000+ weddings have been performed at Mall of America (yes, there's a Chapel of Love inside!). Here's . 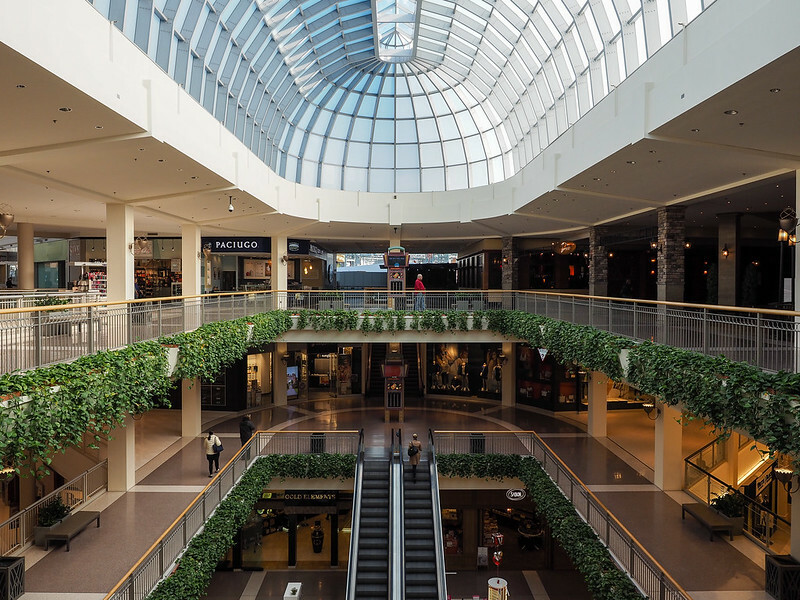 40 million people visit the Mall of America annually, which is more than the combined populations of North Dakota, South Dakota, Iowa… and Canada. That's also close to the number of people who visit Times Square each year, and nearly double the amount who visit Disney World! So what is there to DO at the Mall of America? Well, probably more than you think. Of COURSE you can shop at the Mall of America. The MOA is home to more than 500 stores, so chances are you'll find what you're looking for. I was excited to find storefronts for some of my favorite outdoor brands like Columbia and The North Face, and noted plenty of mall staples like Macy's and Nordstrom, too. One of the other women on my trip bought herself a new bag at the Kate Spade store, and I went into specialty stores like Typo, which sells stationary, pens, laptop covers, and more. I liked the mix of chain stores that I was familiar with and unique ones that I'd never heard of before. (Other unique stores include Marbles, filled with brain games for adults; JM Cremp’s, “the boys adventure store”; and Greater Good, which donates a portion of proceeds to a variety of charities.) I also loved that the sales associates were all SUPER nice – but in an entirely non-annoying way. It's definitely a Midwestern thing. Another bonus when shopping at the Mall of America? Minnesota has no sales tax on clothing! 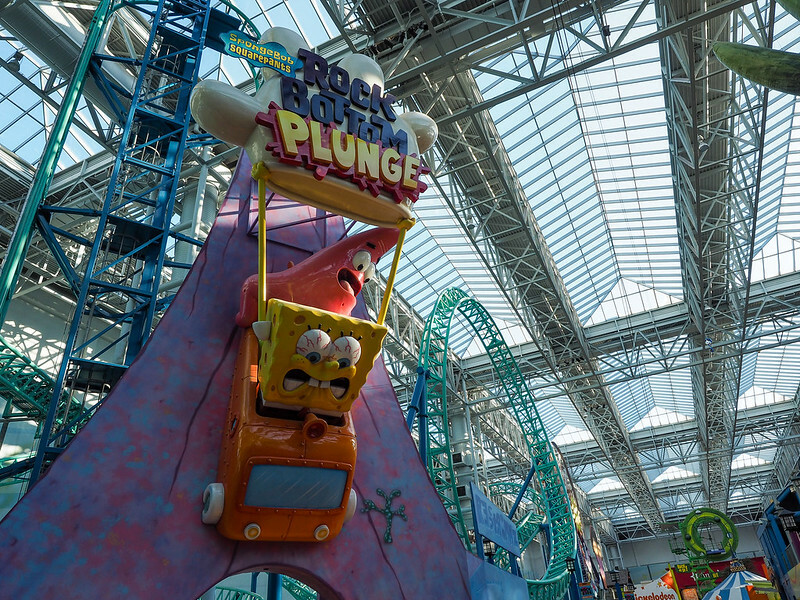 When you're all shopped out, head over to Nickelodeon Universe, an amusement park located smack dab in the middle of the Mall of America. The park has more than 25 rides and attractions, including a few roller coasters, a log flume, a ropes course, and plenty of kid-friendly rides, too. I'm spoiled when it comes to amusement parks since I grew up near the world's best (Cedar Point), but it was still fun to roam around and ride the Spongebob roller coaster (!). 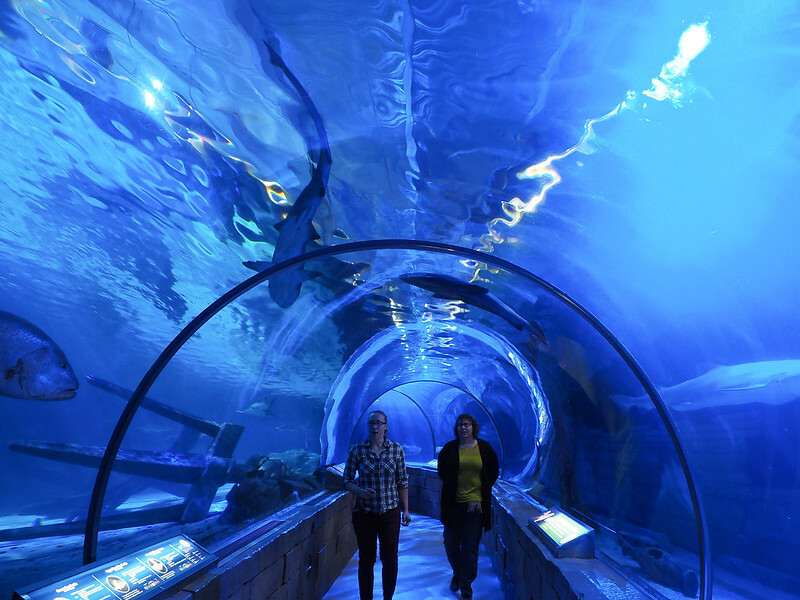 One of my favorite non-shopping things we did was visit the SEA LIFE aquarium, a full aquarium beneath the first floor of the mall. 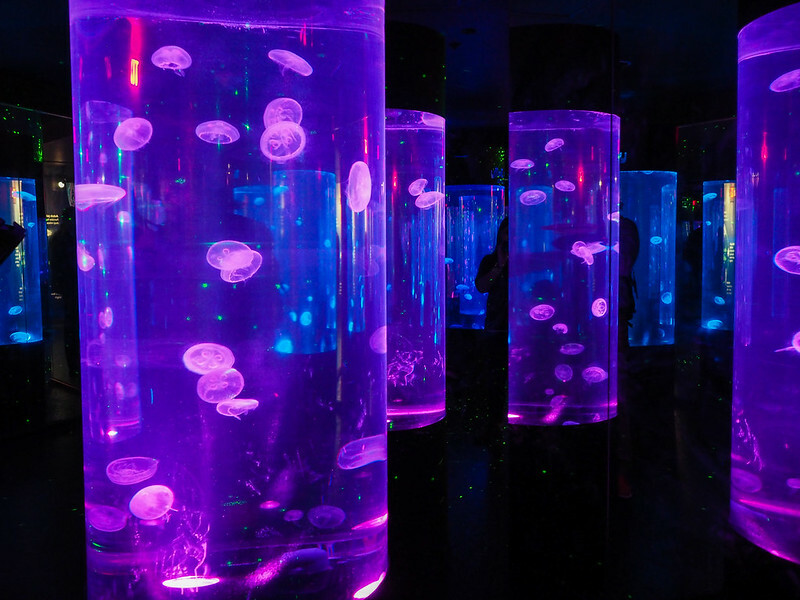 There are a couple of touch pools that are (understandably) very popular with visitors of all ages, as well as a psychedelic jellyfish exhibit, and a 300-foot-long underwater tunnel that takes you through a few different ecosystems, from the Amazon to the deep ocean to Minnesota's lakes. The tunnels were by far my favorite. You can even ! I also appreciate that the aquarium works with a variety of marine rescue and rehoming programs/charities, and focuses a lot on education (it's hugely popular with local school groups). The fourth floor of the MOA is dedicated mostly to entertainment, with some restaurants, a comedy venue called House of Comedy, and a 14-screen movie theater. LEGO creations! The robot is 34 feet tall. 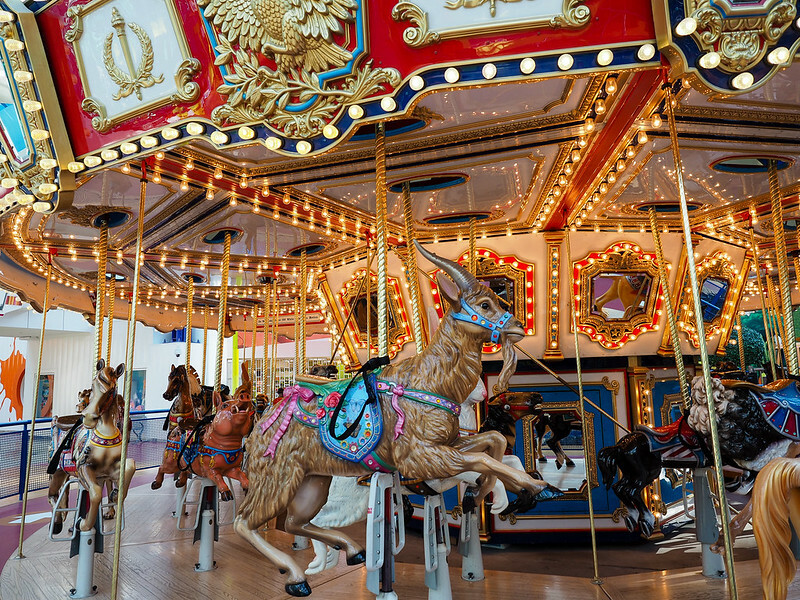 If you have kids, there's plenty for them to do at the Mall of America, too. First of all, there's the amusement park. Then there's a huge LEGO Store on the ground floor (and who doesn't love LEGOs??). And there's also an American Girl store complete with spot for afternoon tea and a hair spa for your favorite doll (no, I'm not kidding). The Mall of America has more than 50 places to eat, so whether you're looking for typical food court fare or something a little more classy (or Hooters if that's more your style), you have options. – Head here for casual dining with a down-home Minnesotan flair. Try some fried cheese curds to start, then enjoy a good steak or walleye fillet for dinner. For dessert, I recommend the homemade key lime pie. – I went here for lunch, and it may actually be my favorite place we ate at the Mall of America! My John Wayne burger was delicious, as was the truffle aioli that I used to dip my fries in. I also loved that the burger portions here are totally manageable. Cedar + Stone – Located in the new JW Marriott that's connected to the mall, this dining spot is the hottest new place to go if you're a foodie. 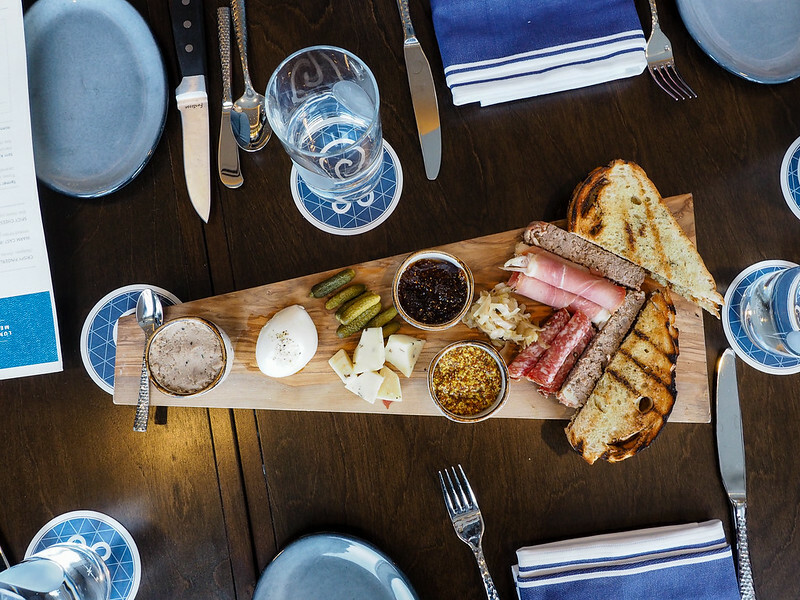 You'll find delicious dishes inspired by Minnesota’s natural roots and local culture. I highly recommend the cornbread, as well as the BLT pizza with pork belly. David's Tea – I'm throwing this one in just because I think it's cool! This tea shop sells loose-leaf tea, but you can also go in and just buy a cup (hot or cold) of your favorite flavor. There are tons of hotels to choose from in Bloomington (many of which offer free shuttles to the MOA), but I highly recommend staying in one that's actually attached to the Mall of America. This means you don't have to carry around a coat when you shop in the winter, and it's easy to pop back to your room for a shopping break or to drop off your purchases. I stayed at the , which, true to the Radisson Blu brand, is a modern, trendy hotel with cool design elements and really comfortable rooms. The lobby in this hotel was my absolute favorite. The Radisson Blu is also connected to the second floor of the Mall of America, making it incredibly easy to pop over to one of the mall's five Caribou Coffees, the LEGO Store, or somewhere for dinner without having to go outside at all. Since not everyone would be excited to spend three whole days inside a shopping mall (no matter how large and cool), you'll be happy to know that Minneapolis' handy light rail system has a stop right beneath the Mall of America. You can hop on and be in downtown Minneapolis in less than 30 minutes. If you do go this route, I highly recommend dinner at (and get some of their delicious peanut butter to take home!). So what do you think? Does this sound awesome or awful to you? *Note: I was hosted by the Mall of America on this trip. However, all opinions, suggestions, and occasional shopaholic tendencies are 100% my own. LOVED this post! I reckon I would enjoy three days in the Mall of America a bit too much 😛 in the uk, we have several large shopping centres (The Trafford Centre is my local huge one, it’s pretty good! ), but nothing quite as big as the Mall of America! Hope I make it there one day ? They’re planning a huge expansion in the next few years, too, which will make it TWICE as big! If you ever find yourself in the US, it sounds like maybe you’ll need to make a stop in Minnesota! I recently was at MOA after not visiting for several years. I sure got my exercise! The 3 day vacation sounds like a lot of fun! I was originally on line to see the times and prices for the MOA aquarium. I will visit the mall again eventually. It sounds pretty fun, but I think I would be super overwhelmed by everything going on! They’re expanding?! What on earth could they possibly add?? Generally, I don’t care for malls at all, but I would LOVE to explore this one. And since I am a ride FIEND, the roller coasters, etc. would be awesome! Great post – thanks for the reminder that I want to see it! And yes, growing up in OH, we were spoiled by great amusement parks: Cedar Point, King’s Island, and my personal favorite in my own back yard, Geauga Lake! Good times, good times. Haha, they’re adding a high-end luxury shopping wing, along with more activity-oriented things (like a theater/performance venue). It’s a really impressive mall, and I’m glad I got to see it! When my family drove across the country in 1995, we happen to be in MN on my birthday and I really wanted to go and see it, even though I hate shopping. It really was a sight to see! My dad just dropped us off and went into town to go a museum and even he regrets not staying with my mom, sister, and me. I think even he would have found it somewhat interesting for a few hours! It’s actually quite nice inside – and there’s SO much to do, even if you don’t like shopping. Yup! The theme of my trip was how you could do so much in the mall without ever having to go outside into the cold Minnesota winter! I think I’ll be traveling to Minneapolis later this year, so this is helpful info! I’m excited to check this giant mall out! Ohhh awesome! Minneapolis is a cool city, too – plenty to do! But yes, definitely pop over to Bloomington and the MOA for at least a day! Awesome and awful :). Having grown up 20 minutes from the MOA, we have a love hate relationship. Love because it’s a great place to go for literally everything you could possibly need (someone should try living in the MOA during winter), and hate because you can get lost for days inside. Haha, I can totally understand that love-hate relationship! As someone who lives nearby, I can’t imagine spending 3 whole days there! But it definitely is a fun place to visit. I’m sure I’d feel the same way if I lived nearby. But as someone who was just visiting, it was great! I was watching some Christmas show on History Channel in December–Mall of America was featured. It’s amazing how many hours and work crews put in to set everything up! For those living in the metro DC area, there’s Tyson’s Corner Mall and Tyson’s Galleria II, but two are nothing in size by comparison. It’s almost a small city! I can only imagine how pretty it must be all decorated for Christmas! Yes! I think the only malls that can compare are probably ones in the Middle East! That actually sounds very cool! I first heard of the Mall of America when I was in grade 8 and it’s always been in the back of my mind since. Now that I’m older, though, I don’t find the attraction to going to the malls anymore (hello, online shopping! )… but I’d still would like to go for the fun of it! Maybe one of these days I’ll road trip over to Minnesota and see this place! Road trip! Plus, Minneapolis is pretty cool, too! I don’t think I could spend all day in a mall. But it does look like a lot of fun. Especially the Lego Store. Did it have a Disney Store? Yes, it had a Disney store, too! Oh that sounds awesome! There is so much to do and see and explore and it is SO huge – I am already spoilt for choices! Yup, plenty of choices, no matter what you’re looking for! I’ve never thought to visit the MOA, but this post has made me consider it. I am now hungry after seeing that charcuterie board. A lot of people would never consider a mall a tourist attraction, but this one definitely is! I lived in Minneapolis for 4 years and everyone was always at a loss for words when we would go to the ‘mall’. It is definitely unlike anything anyone has every seen. I miss having it near me some times because there is just so much variety there. Glad that you got to experience it and highlight it for others. I miss Caribou!! They don’t exist in the south. Yup, it’s certainly unlike any “mall” I’ve seen, too! I’m glad I got the chance to see it. Its AWESOME , there is no doubt the photos are mindbogglingly. the aquarium is looking good. The aquarium was much bigger than I expected! And very cool to wander through. I always like reading your posts Akatuki but outside of the novelty factor and a once-in-a-life-time experience, I would consider it a living nightmare! I loooove shopping and I can imagine that for many locals, the MOA is a highlight of the region, but I personally prefer boutiques or department stores of historical standing. I’ve only been to America once and while we were there, we went to a shopping mall in California. It was very interesting, and something that I would highly recommend but I think a day would be enough. p.s. I like the fact that hotels and Disneyland are attached to it. I looooove Disneyland!! My in-laws used to live up there and we always went to the MOA when we visited. It was so much fun. We did the jungle gym and walked across those high beams 50 feet up and it was so thrilling! Sad I never made it to the Sea Life aquarium though. Definitely a tourist attraction for a lot of foreigners who like to shop! 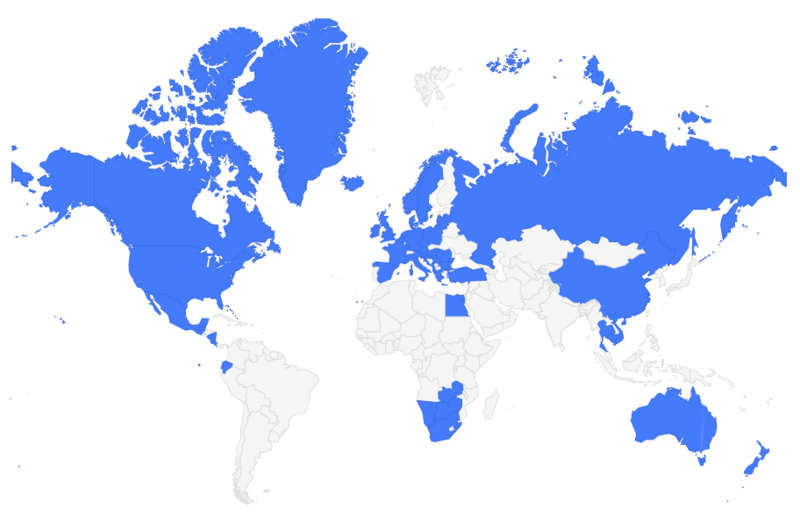 Yup, I can certainly understand why so many people visit each year! Ever since I saw Mary Kate and Ashley Mall Party I wanted to go there. I only had no idea it was that big! I think it is a must visit ones in your life time. I hope I can get to see it one day. OMG Mary Kate and Ashley – I used to love all those movies!! I can’t believe it would take 86 hours to spend 10 minutes in every shop. That’s incredible! I don’t think we have anything like that in Australia. I feel sorry for the people who have to clean the place, it must take hours!! They have such a HUGE staff at the MOA! And yeah, it’s massive – hard to imagine until you actually see how big it is! You do need to have a lot of time to visit all the stands, but I think it’s a place for those who are in search of something specific and don’t want to travel to a lot of shops in the downtown. Yup, it’s definitely ideal if you want to get in a full day of shopping (or two or three! ), but don’t want to spend a lot of time driving between stores. The MOA is definitely a destination itself! While I typically hate malls (and shopping… that’s what the Internet is for), I feel like this would be a great escape from the freezing Midwest winters without having to go too far. Love the idea of not having to carry your coat around! Also that aquarium looks pretty cool. Yes, I definitely loved it as a short escape. It’s a great place to shop (and the whole no sales tax thing is AWESOME), and there are enough other things to do that I didn’t find myself getting too bored at all. Haha maybe just 1 or 2 days for you then! Love this post. I spent a weekend there last fall and felt silly only leaving with one pair of socks. The mall itself was a little overwhelming to me, and provoked some deep thoughts on our country, consumerism and materialism. It is definitely a neat experience to have, though, and I appreciate reading your insights! The US definitely is all about consumerism – but that’s something that’s tough to avoid when you live here. I saw the mall as a fun place to explore for a few days, and did some shopping for some of my upcoming trips. I definitely wouldn’t go there all the time, but one visit was kinda fun! Haha, I had to smile when I saw your post title. My parents live in Minneapolis and we all have a bizarre kind of love/hate fascination with it. We joke about wanting to avoid it because of the sheer size and crowd of people, but deep down we really love it and a visit home isn’t complete without a trip to MOA. Your article really did it justice! And made me a wee bit homesick! 🙂 I haven’t tried Cedar + Stone yet though and your description made me hungry (not to mention the yummy looking picture!) so I will have to request a trip there on my next visit home! If you enjoyed our American jumbo mall, you should try some other international ones if you haven’t already! I live near Dubai now and have spent a lot of time recently in the Dubai Mall, which is the largest in the world in terms of total area. It is insane. And the nearby Mall of the Emirates, while it doesn’t compare in size, actually has a full SKI SLOPE inside. Yeah, those Dubai malls look insane!! I hope you have a great time! There’s certainly a lot to see/do there.